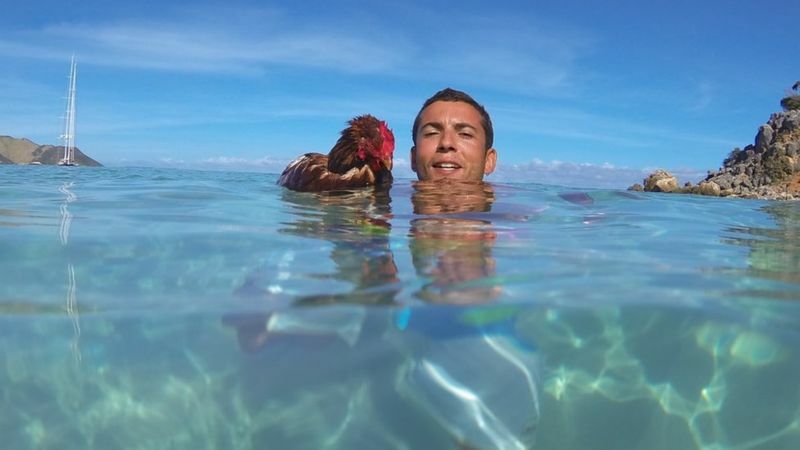 Meet Monique…the hen who is sailing around the world! 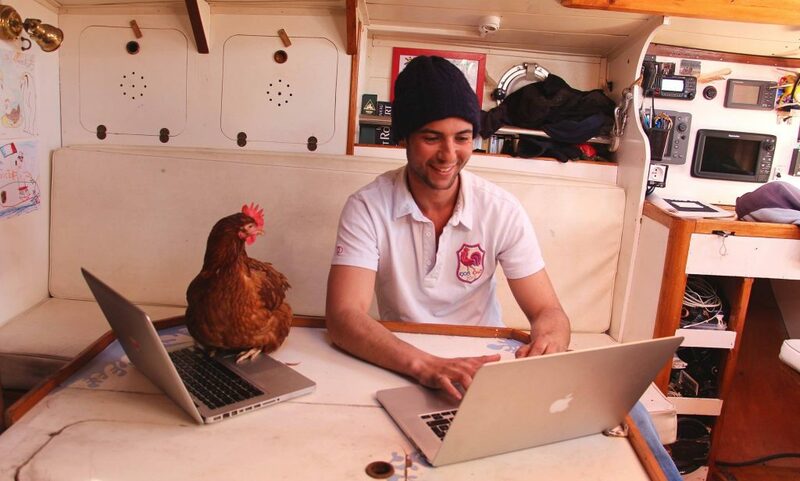 Meet Guirec Soudee, a 24 year old man from Brittany, France and Monique, his pet hen. This unlikely pair are currently sailing around the world, they set out on their voyage 2 years ago and they haven’t looked back since. 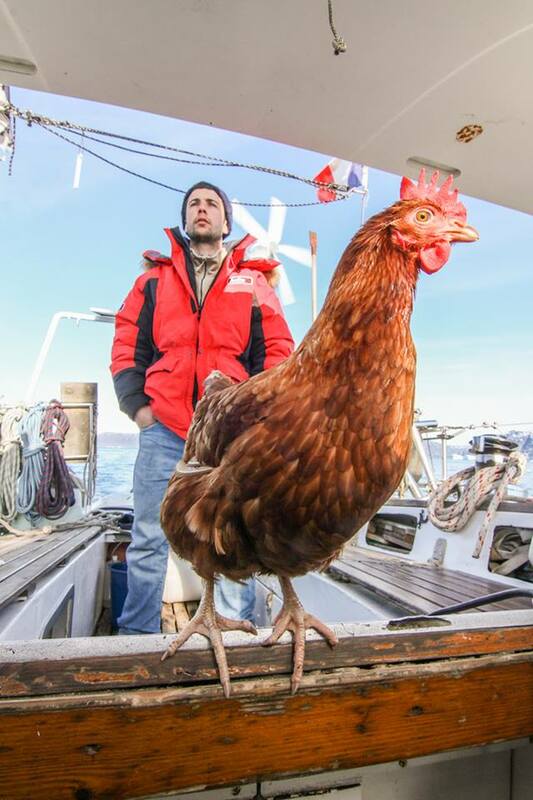 Monique is the loyal pet hen of Guirec, who had originally planned on keeping a cat on the boat for company but changed his mind and opted for a feathered friend for companionship. 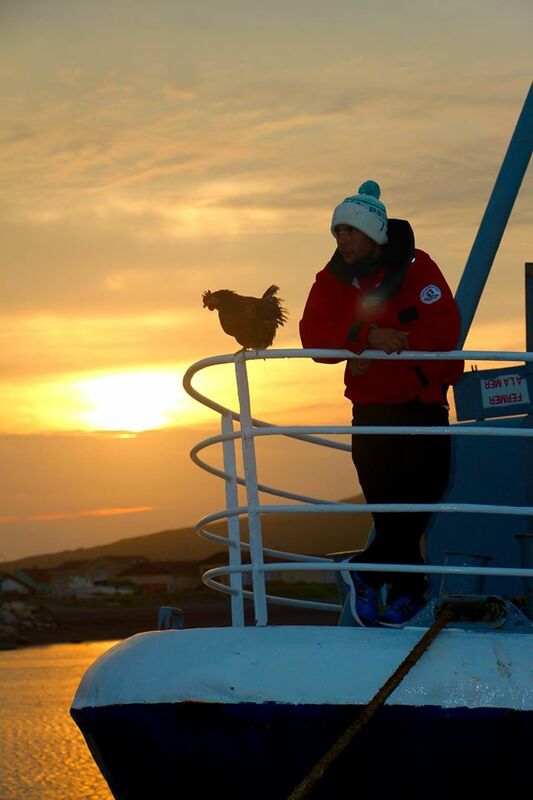 Guirec said that he chose a chicken as they’re very easy to keep, plus he gets to have fresh eggs whilst at sea. Win win. Others doubted whether this new found friendship would work but Guirec said that Monique took to sea life very quickly and was laying straight away. The dynamic duo are currently in Greenland but are heading to Alaska soon, Monique continues to lay eggs even in the colder climates, according to Guirec she lays on average 6 eggs a week. We wish Guirec and Monique good luck for their continued travels, we’ll be keeping a close eye on their Instagram and Facebook.